Located in the Southeast quadrant of the Palace grounds, the Sacred Mound once served as a royal tomb. 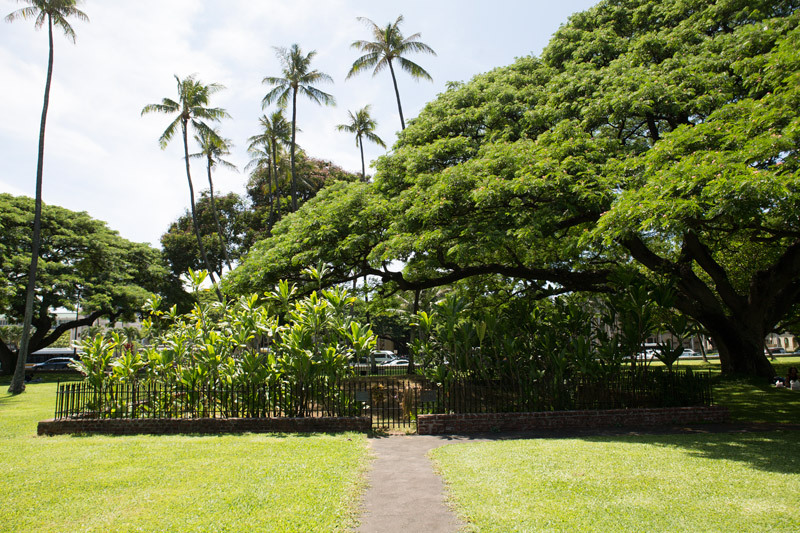 It is marked by a fenced-in mound to respect the Hawaiian chiefs who may still be buried there. In 1825, a royal tomb of white-washed coral block was constructed to house the remains of Kamehameha II and his consort, Queen Kamamalu, both of whom died of measles while on a journey to England. For the next forty years, this royal tomb and the land immediately surrounding it became the final resting place for the kings of Hawaii, their consorts, and important chiefs of the kingdom. 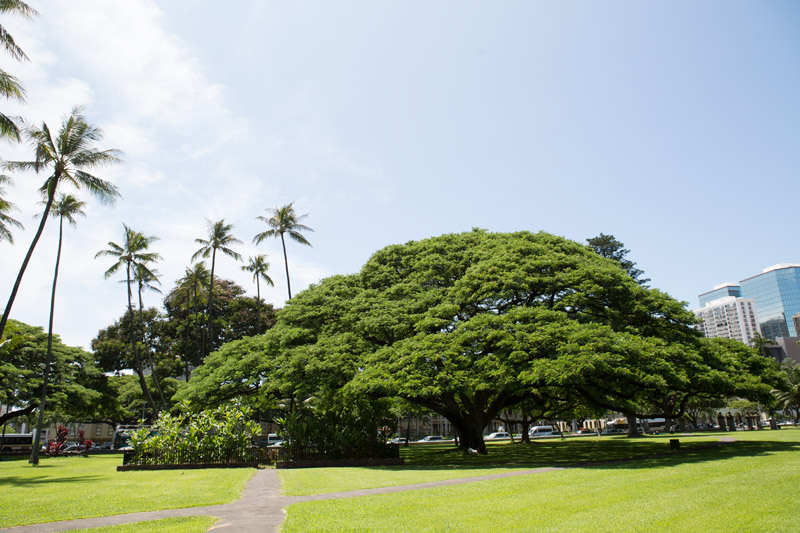 In 1865, eighteen coffins were removed from this site and transferred to Mauna Ala, the Royal Mausoleum, in Nuuanu Valley.